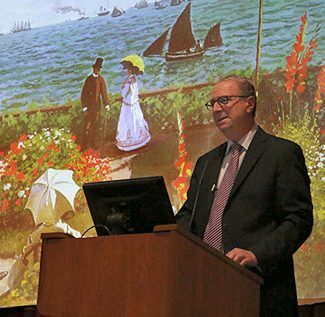 Anton and Rose Zverina Lecture 2015, Jonathan Lass M.D., “The Eye of the Artist”. Help us celebrate the 20th anniversary of the partnership between the Dittrick Medical History Center and the CWRU College of Arts and Sciences. Your gift will make it possible for our future to be as remarkable as the past twenty years have been. By giving to one or more of the funds listed below, you will help us continue to preserve and interpret Cleveland’s medical history. Established in 1964, the Friends Funds allow the purchase of objects and rare books that will benefit the collections. Established by the Zverina Family in memory of Anton and Rose Zverina. Income supports the Annual Zverina Lecture which features medical historians and museum curators who are doing research in the history of medical technology. Established by Percy Skuy, retired CEO of Jannsen-Ortho (Toronto), to support the Annual Skuy Lecture and to purchase items for the Skuy Collection of the History of Contraception. Fund established by the Rauschkolb family to support the design and installation of special exhibits. If you prefer to donate by check please make payable to the Dittrick Medical History Center. Please indicate the fund name you wish to donate to on the memo line.